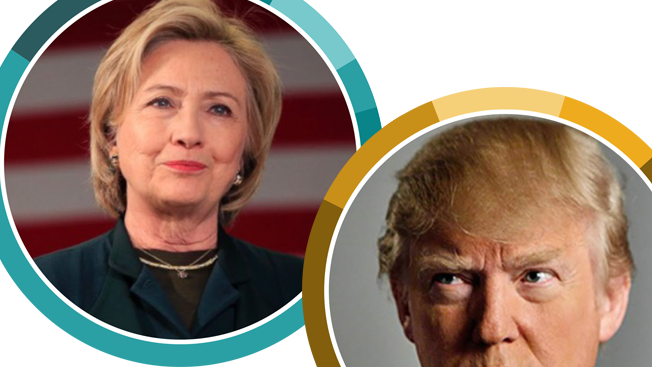 Infographic: Who’s Winning the Race on YouTube, Hillary Clinton or Donald Trump? Donald Trump is usually quick to boast about how much he's winning—in politics, in business, etc., etc., etc. But now, it appears he's winning on YouTube as well, according to video technology and analytics firm Zefr. Zefr's analysis of YouTube views for the month of May found that videos about the presumptive Republican nominee have amassed many millions more views than the combined total of Democrat rivals Hillary Clinton and Bernie Sanders. Views of Trump-related videos increased by 42.8 percent from April to May to a total of 254 million. Meanwhile, the total 106 million views of Clinton-related videos were only up 0.68 percent from the previous month. Total views for Sanders videos fell 16.25 percent to 69.7 million. "If all publicity is indeed good publicity, then Trump has a huge advantage," said Dave Rosner, Zefr's evp of strategic marketing. However, nearly half of Trump-related views (47 percent) were for videos that expressed a negative sentiment about the candidate, while only 17 percent were positive. (The remaining 36 percent were neutral.) For Clinton, sentiment was even more negative—48 percent compared with 4 percent positive and 47 percent neutral. On the other hand, Sanders videos were far more positive, with 42 percent of views for videos expressing favorable sentiments, only 2 percent negative and 54 percent neutral. Rosner said the majority of video views on YouTube are not being directed to official accounts. For example, the most popular Donald Trump video uploaded in May was from The Tonight Show Starring Jimmy Fallon. (It portrayed Trump and President Barack Obama talking on the phone after the Indiana primary.) The most popular video about Clinton was an SNL skit. In addition to analyzing videos about the candidates, Zefr looked at various political issues to see which ones got the most views during the month. Topping the list for May was criminal justice, followed by the environment, foreign policy and LGBTQ rights. Lower down the leader board were government programs, education, healthcare and immigration.